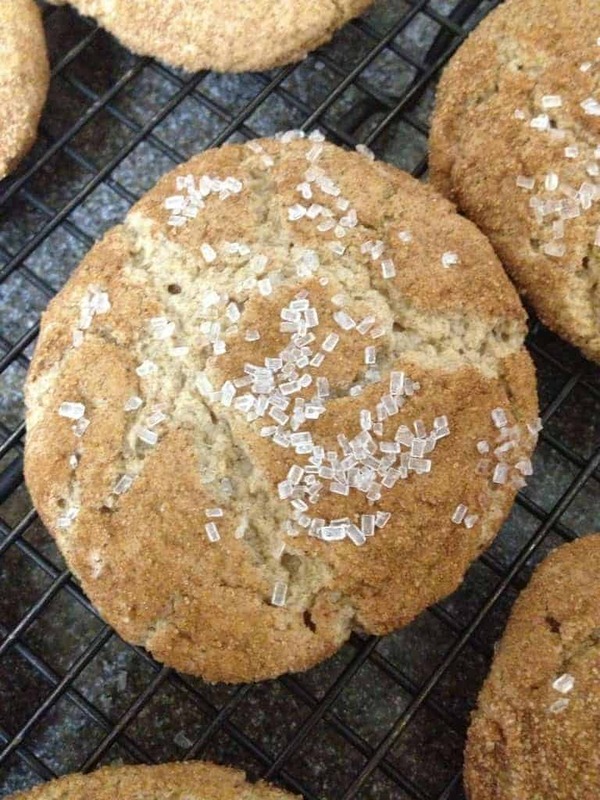 I’ve blogged about CoolWhip Cookies several times. I enjoy trying out new combinations! My favorite so far are the Lemon Burst Cookies. However, I now have a new close second favorite. 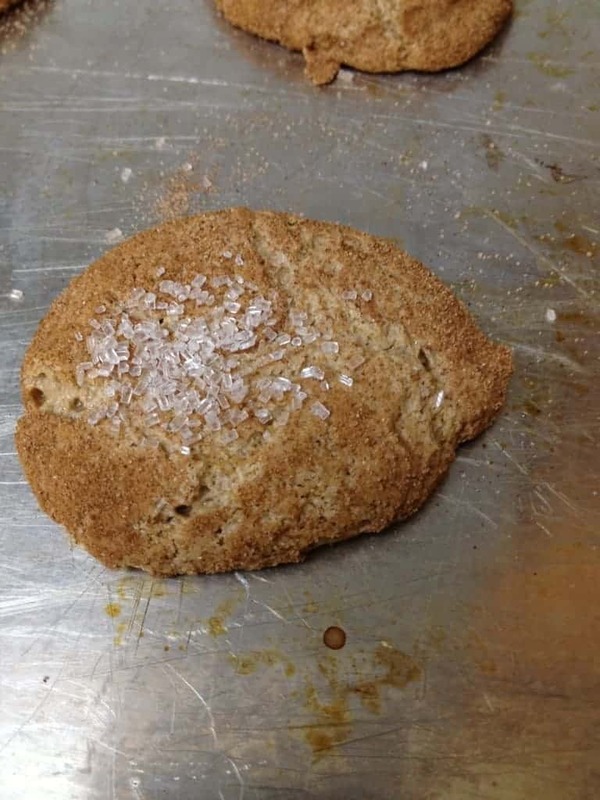 The end result tastes like a soft gingerbread cookie. Absolutely Yummy. For the Gingerbread Cookies, I used a spice cake mix, 1 egg, and an 8 ounce container of Coolwhip. You do not need any of the ingredients called for on the box — just mix those three things with a mixer. Next, you need to roll your cookies in something. 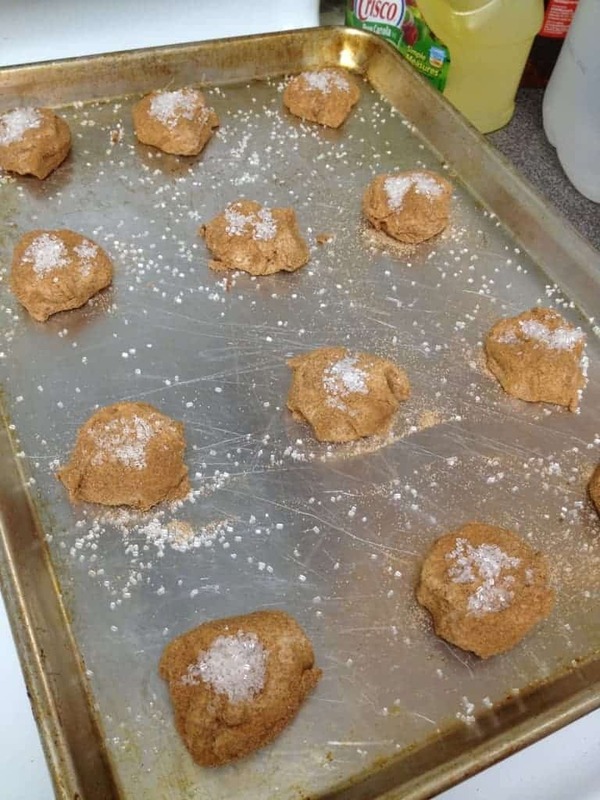 In the past, I’ve always rolled our Coolwhip cookies in powdered sugar For these cookies, I rolled mine in a mix of cinnamon and sugar, and then pressed in the center a tiny bit and filled it with course sugar. Finally, you bake on 350 for about eight minutes or until barely starting to turn on the edges. They will not look finished when you take them out, but unless you want crunchy cookies you need to take them out anyway. They set up beautifully once they sit a minute. The result was amazing. A perfectly wonderful spicy cookie for Thanksgiving or Christmas. You can use any cake mix and make Coolwhip cookies. You always need one cake mix, one egg, and 8 ounces of Coolwhip, plus something to roll them in. That’s it. So far we’ve tried Red Velvet which make a gorgeous burgundy Christmas cookie, White with food coloring, Chocolate, Lemon, Strawberry, and now Spice Cake mixes. I remember using an orange cake mix for my sister’s graduation party years ago and those were also delicious. I am not sure if anyone makes orange cake mixes anymore, but I cannot seem to find one. I’ve thought about using a German Chocolate cake mix and rolling the dough balls in coconut. I’ll let you know how that turns out. Can you think of any other creative and potentially yummy combinations? Eight Ounces. Sorry, I will fix that!